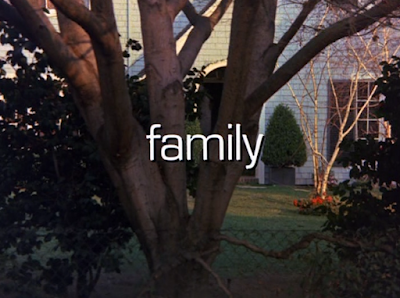 Family ran for five seasons, 1976-1980. Are you a big fan too? The one drama series I most frequently turn to when I'm looking for emotional comfort is Family. Although the Lawrence family never resembled my family, I've always connected to the emotions and the gentle, perhaps even common, dramas my favorite TV family struggled with. 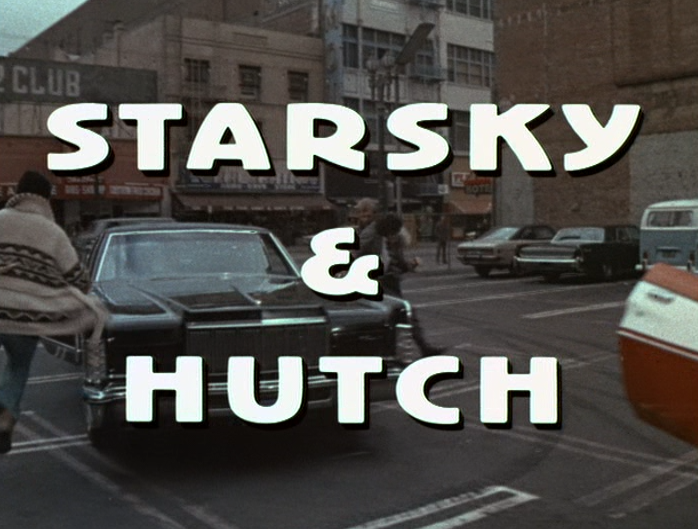 I've watched the first and second seasons on DVD over and over again. Today I thought I'd share my thoughts on the second season Christmas episode. When will they release more of this series on DVD? I make this complaint a lot, don't I? On-screen title of this yuletide episode although the DVD re-names it "The Christmas Show." 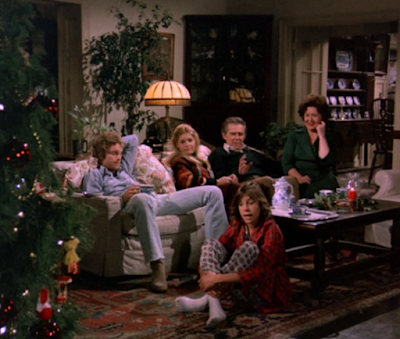 The 1976 holiday episode has been titled "The Christmas Show" on the official DVD set however, the title appears differently on screen at the beginning of the episode. Episode title changes happen quite a bit, actually. 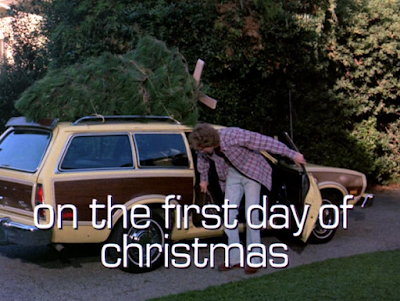 No matter, this first Christmas episode of the series has several memorable moments. 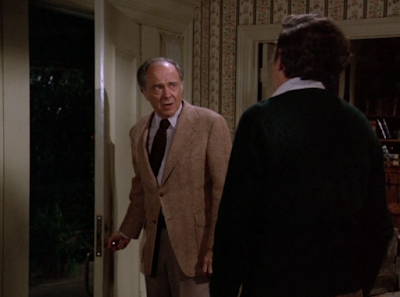 Doug's father James comes to the house for Christmas and introduces his new girlfriend, Constance Hume. 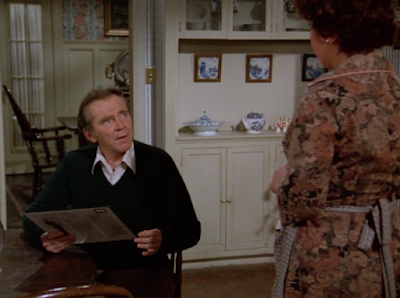 The central storyline concerns itself with Doug's father James. He is coming over for the family tree trimming party as he does every year, however, this year he brings along a girlfriend. Doug is polite and warmly welcomes Constance to his home but he is upset. Not only is Constance significantly younger than his father (Doug comments she must be his own age) but Doug is shocked to discover that his father is serious about the relationship and they are talking about getting married on New Year's day. Nancy was experiencing Christmas in an all new way, through the eyes of her child, only to learn that Timmy is leaving with his father for the holiday. 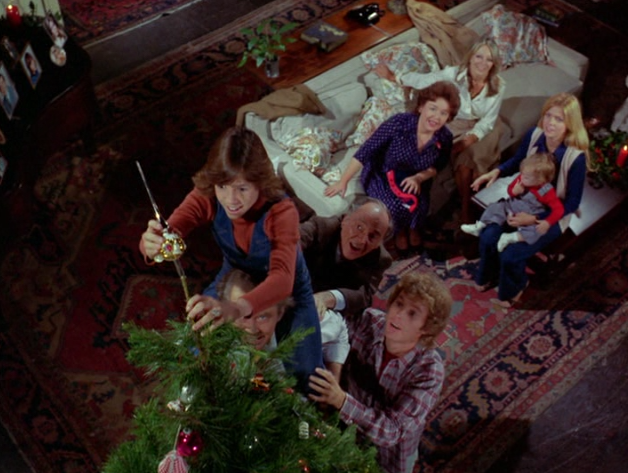 Although she's a teenager, Buddy is still the youngest member of the family so she gets to put the star on the top of the Christmas tree at the party. 13 year-old Buddy is awkwardly occupying that space between being a child and an adult. As the youngest, she finds she has to remind the adults to keep up the family's annual holiday traditions while she knows she doesn't feel like a child anymore. 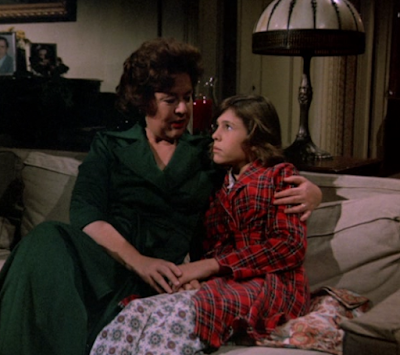 Mother Kate is disappointed in the warmer-than-usual weather in Pasadena this Christmas. She misses the snow she experienced at Christmas as a child growing up in Oregon. Emotions are running deep this holiday season at the Lawrence home. 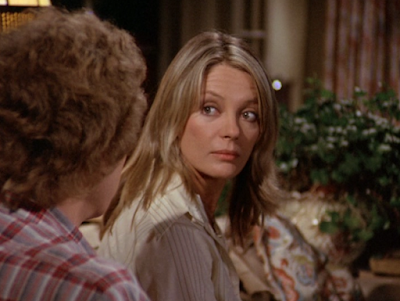 Constance catches Willie staring at her! 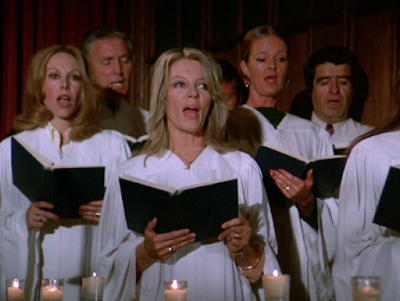 Constance Hume is portrayed here by singer/actress Sheree North. Willie is convinced he's met Grandpa's girlfriend Constance before. 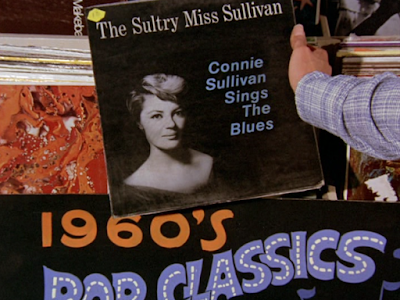 The next day while Christmas shopping with Buddy, Willie steps into a record store and instantly recalls why Constance looks familiar to him: she used to be a recording artist known as Connie Sullivan. Willie buys a Connie Sullivan record to give to Grandpa as a stocking stuffer on Christmas morning. Willie remembers why Grandpa's girlfriend looks so familiar. Willie thinks everyone will be tickled to discover that Constance used to be a celebrity. Willie tells his father about the Connie Sullivan record he's purchased--but Doug isn't happy. In fact, Doug forbids Willie to give his gift! Later, we hear Doug talking to his wife Kate about his feelings. 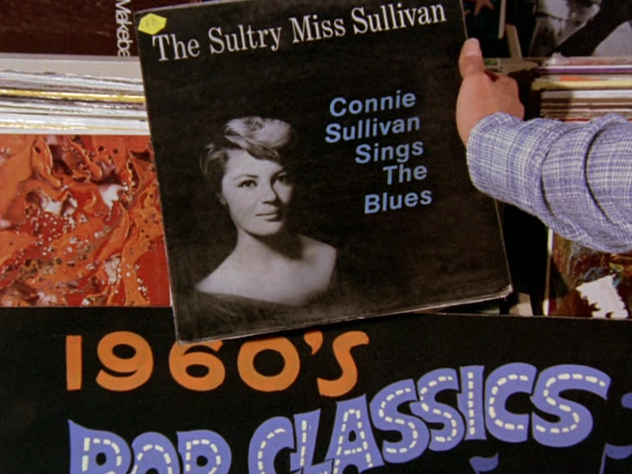 Doug remembers Connie Sullivan from her singing career in the 1960s. She made headlines several times from a lurid affair with a married bandleader and getting mixed up with mobsters. Kate feels that Doug should drop his concern about Constance but Doug wants to talk to his father about her scandalous past. Doug has hurt his father's feelings so badly that James refuses to come over for Christmas dinner as planned. Sure enough, James takes offense to Doug's interference in his private life. It turns out, James knew all about Constance's past. Now James resents his son meddling in his business and speaking to him like he's incompetent--or worse, an old fool being exploited by a younger woman. 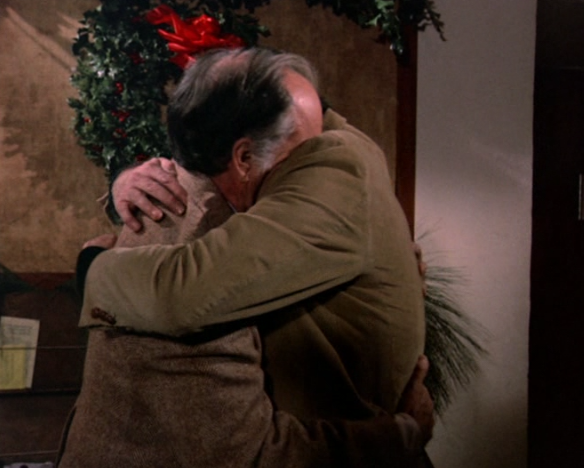 Doug thinks he has every right to be protective of his father's interests but James is so hurt that he refuses to come over to the house for Christmas dinner. Kate is angry that the family won't be together for Christmas. Doug is stubbornly convinced he's right but now the family won't be together for Christmas. Although Christmas TV episodes require a bit of conflict in order to move a narrative forward, this drama unfolds and resolves itself acknowledging its characters' depth and subtlety of emotion that is most often overlooked in family sitcom storylines and many other dramas. This is the strength of the series Family overall--and it's true in this particular episode as well. Kate quotes Hamlet about the tradition of holding Christmas sacred to make her point about the holiday's importance to adults as well as children. My favorite moment in this holiday episode is a shared conversation between mother and daughter on the sofa. Teenager Buddy tells her mom that she thinks Christmas is best enjoyed by children. Kate hugs her daughter, agrees, and says that she thinks Christmas time may be more important for adults. She quotes Shakespeare's Hamlet (Act I, scene i--dialogue spoken by Marcellus) to make the point that adults require the annual reminder to stop and remember the importance of love, family, and peace. It's a powerful moment, filled with the depth of emotion and importance that only a mother's wisdom can bring. And, Kate makes her point by quoting Shakespeare!? 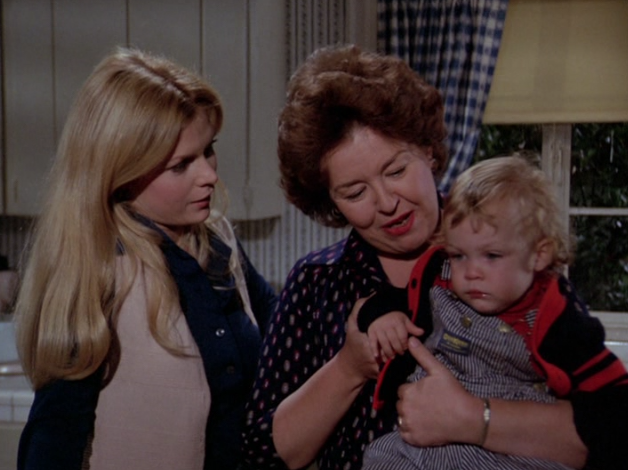 The oft repeated claim that television is a "vast wasteland" overlooks precious moments like this. It's emotionally satisfying to see mature men express their feelings and resolve their conflicts. 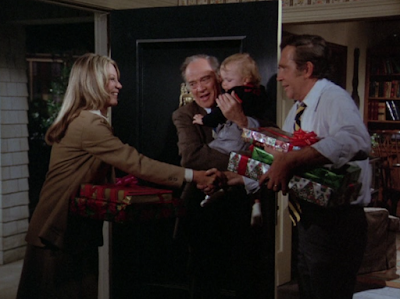 By the end of this episode, the conflicts are resolved--and the Lawrence family spends Christmas together. Again, the happy ending may be of no surprise to television viewers but here the emotional lives of the characters are the driving force of the story--not the plot itself. It's wonderful to see Doug not just apologize to his father but tell him that he loves him and needs him in his life. 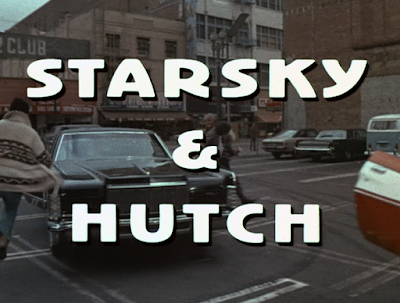 This episode also give actress/singer Sheree North a chance to shine a little. We hear her sing at bit of "The Little Drummer Boy" at the Lawrences' tree trimming party and "What Child Is This?" as a part of her church choir on Christmas Eve. Despite their rancorous divorce, Jeff and Nancy agree to come together for Timmy this Christmas. Jeff ends up dropping by on Christmas day to return Timmy to Nancy. After spending Christmas Eve with his side of the family, he now better understands how important it would be for Timmy to be with his mother and her family on Christmas day. Nancy graciously invites Jeff to spend the rest of the holiday with her family and his son, Timmy. 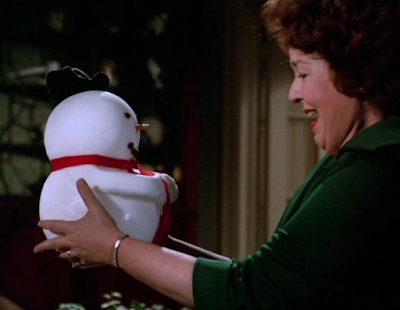 Buddy's mysterious box from the freezer reveals its contents: Kate's authentic snowman. 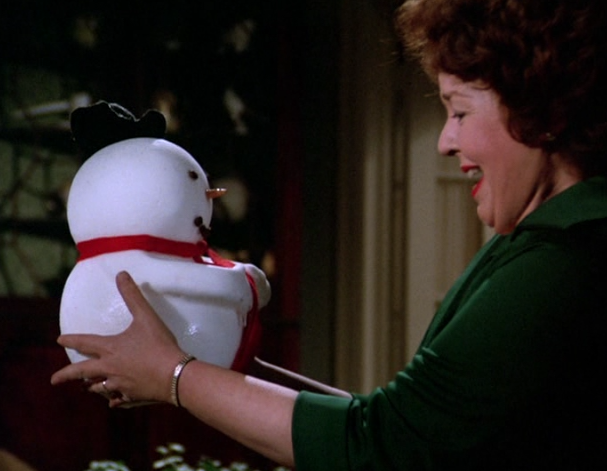 And, Buddy thoughtfully gifts a bit of Christmas nostalgia to her mother. Buddy has found and purchased a snowman--made of real ice--for Kate to experience a bit of her childhood again. While most of us know what it is to have a bit of family drama at Christmas, sometimes it's easier to endure when fictional families, like the Lawrences, inspire us to hope for the best. The Lawrence family at Christmas. In 1976, McNichol appeared in both the Family Christmas episode and the Starsky & Hutch Christmas episode. Are you a fan of the series Family too? Who is your favorite character and cast person? 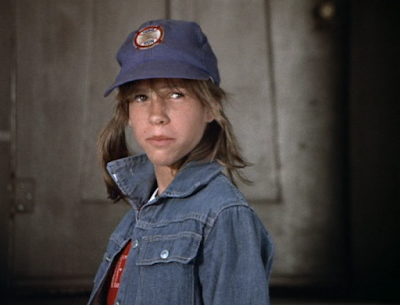 I always wanted a brother like Willie but I identified with Buddy. 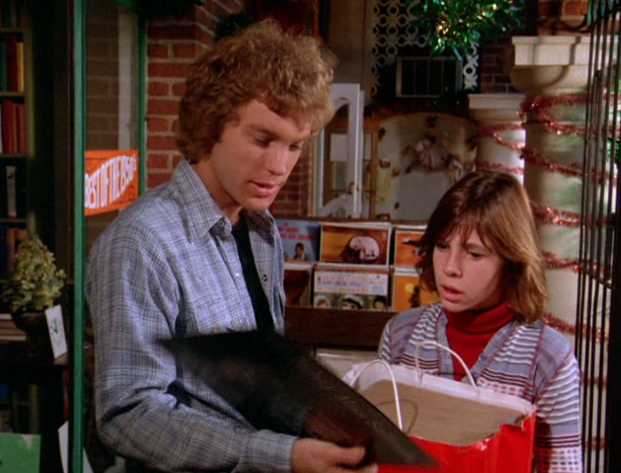 If you want to see Kristy McNichol in another yuletide episode, don't forget that she appears in the 1976 Christmas episode of Starsky & Hutch too. Kristy plays a street-wise kid on the Christmas episode of Starsky & Hutch. It's a wonderful episode of a wonderful series. I have a feeling that our wait for the rest of the seasons on DVD will be over this year. You have a feeling? You sound like you know something. This is the best rumor I've heard all week!